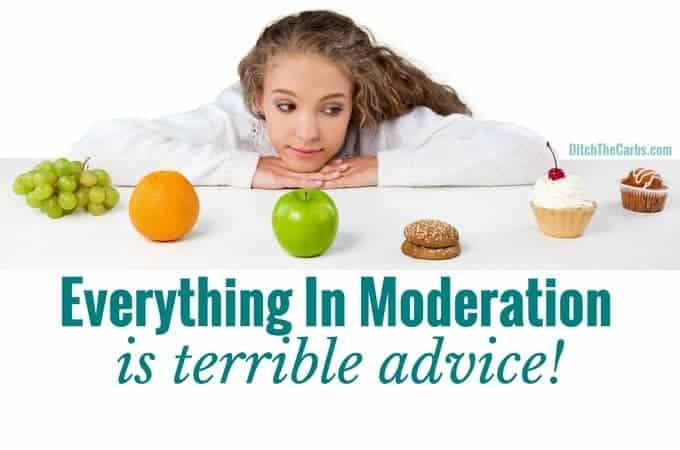 Why Everything In Moderation - is such terrible advice - believe it or not? 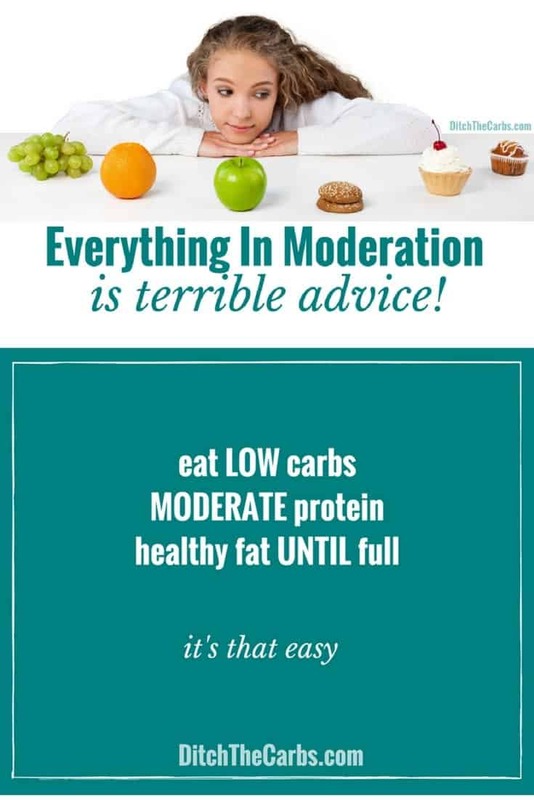 The phrase “everything in moderation” is meaningless! Why is it repeated so often and what does it actually mean? Most people use this valueless phrase to justify eating junk food on a regular basis. Did you know that you are actually healthier by eating a small range of healthy foods, than everything in moderation? Do we need a varied diet? – YES but do we need to eat everything in moderation – NO. This is a subtle, yet incredibly important point to distinguish. Eating a varied diet can be done correctly or incorrectly. Eating a variety of whole unprocessed foods is perfect, eating a variety of processed food, unhealthy oils, processed carbs and nutrient void food, is simply unhealthy. Spoiler alert – eating a salad and doing some exercise does NOT undo a bad diet. Aim to include a variety of good quality proteins, vegetables, and enjoy only healthy fats, not a variety of calories from the bakery, soda aisle, snack aisle and candy aisle. Even though “everything in moderation” has been advised for decades, it has never ever been defined or quantified. It is virtually an urban myth. And how does a diverse diet of everything, impact on peoples intake of processed food? By eating a diverse range of everything, allows an individual to overeat both healthy and unhealthy food in excess, leading to increased weight and larger waist size. Eating a healthy food simply does not cancel the effect for an unhealthy food. And overeating then visiting the gym, does not undo the damage and inflammation that junk food causes. 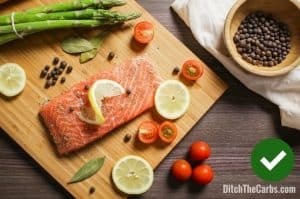 Everything In Moderation – an easy way to gain weight! This study shows that those who have a diverse diet, actually put on weight. Everything In Moderation – a “get out” clause? By following the advice “everything in moderation” allows people permission to eat processed foods at regular intervals. It condones a variety of foods from the bakery. An it vindicates eating a variety of foods from the snack aisle and a range of fizzy soda drinks. Everything In Moderation – worse for metabolic health! And of course we want to eat a variety of healthy foods to ensure we obtain all the nutrients and vitamins our bodies require, and to avoid food boredom. So in fact, maybe the advice should be “eat a diverse diet of unprocessed food” and let us once and for all throw “everything in moderation” in the bin where it belongs. What do you think? Is moderation of junk food a good thing? How do you quantify moderation? Daily? Weekly? Monthly? I started keto a few weeks ago and the pounds are melting off. Still have a lot to learn. My husband doesn’t believe in it, though. He believes that we can be free to eat whatever we want, but not to excess, and that no food cravings should control us. I have difficulties in explaining to him that it was precisely eating carbs which led to my sugar cravings. He thinks it is simply a matter of will power. (And he is extremely disciplined). But he does put weight on over time, definitely. He’s losing it at the moment, by eating a bowl of fruit and muesli with low fat yogurt in the afternoons, and a couple of pieces of bread with cheese and meat in the evenings. At weekends, he eats normally, and will even have bbq food, cake and ice cream etc. He does this to show me that it’s possible to be ‘balanced’, because he can do it. It may work for him, at least temporarily, but I know he’ll put on weight again, once he gets to where he wants to be. As far as I’m concerned, after so many yo-yo diets in the past, I never want to go back to living that way again. It seems to be a matter of how we think. 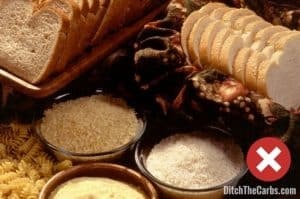 We all have a different carb tolerance, some can eat far more carbs than we can, and it won’t trigger their cravings or fat storage. 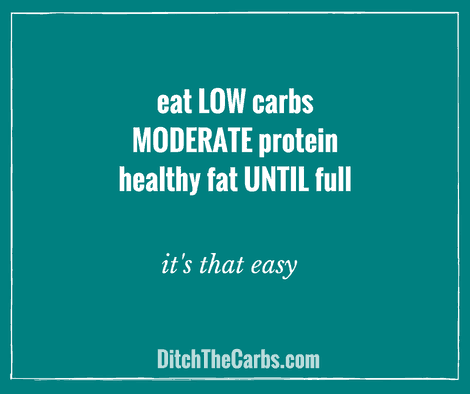 For those of us who are carb intolerant (and probably insulin resistant) then the smallest carb meal will send our insulin levels soaring and trigger fat storage and cravings again. I too love LCHF and find my appetite (after 35 years of dieting) is finally under control. LCHF is also so incredibly liberating. I base all my meals on low-carb real food, I don’t count anything any more and I am no longer obsessed with every single meal and what I should/should not be eating. Stick to your guns, and if LCHF is working for you – bravo! I think the problem is you’re misunderstanding the phrase. It doesn’t mean, “eat a moderate amount of every food there is”, it means don’t eat an excessive amount of whatever you eat. My biggest problem with ‘everything in moderation’ is that it is so vague. I’ve seen people successfully follow a moderation idea – but only because they were able to narrow down specific rules for themselves. I agree. 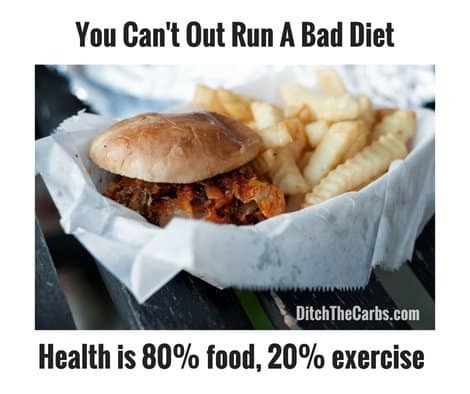 It is an excuse to not focus on a better diet. For me that statement means that if I have a slice of cake at an occasional party, or some juice or diet soda, it is not a death wish. My diet is clean, unprocessed, lower carbs 90 to 95% of the time.